So I wrote a reply to the last Community Blog Topic from WoW Insider but forgot to post it because I was looking for screenshots to decorate it with and then I got busy. Doh! I’ll eventually get my late take on what factions need more story up. It will be fashionably late. Now though, I’ll answer their current blog topic because it is timely and stuff. Druids are the class that really opened this possibility up with the separation of Kitty and Bear in Mists. 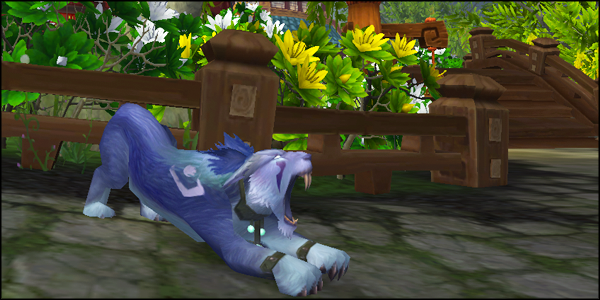 Personally, I miss having Feral be a Cat/Bear Spec. I liked being able to tank or DPS (granted not optimally for either with the hybrid talent points) with only one spec. I do understand why Blizzard separated them out though. Before Mists, changes to kitties would sometimes nerf bears and vice versa. Sometimes changes to one would give the other an unintentional buff that was unbalanced with the other classes too. This was also before vengeance was a thing. I can see vengeance totally making kitty DPS ridiculous if they had stayed as one spec. 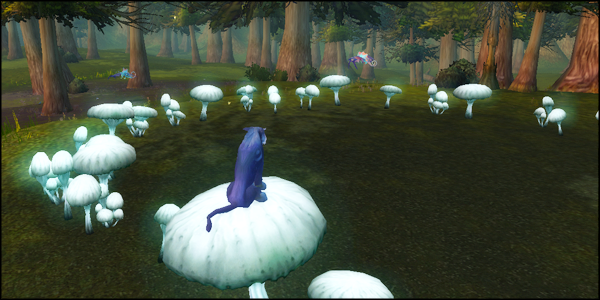 Unrelated to the topic, but you should totally go see the Fairy Ring in Tirisfal if you haven’t yet. The way they revamped the talent system into six talents and made all the old skill points auto learned would not have worked at all with the old Feral spec. You would have ended up with feral druids that were optimized in terms of skill points as both DPS and tanks (minus gear of course) at the same time. That would have been a bit over powered. It is much easier to balance Feral DPS and Druid Guardians now that they have two different specs. In theory, this also makes them more equal to the other DPS and tanks out there. It makes sense to me. I wrote all that to illustrate why I think making Druids have four specs was a good choice. In terms of making the other ten classes also have a fourth spec, my answer is still mostly no. I think doing that would be a terrible idea. The only way I can see this idea ever working is if Blizzard continues the alt unfriendly stance they brought about with Mists. It makes sense if they really expect most players to focus on one “main” and not have alts. 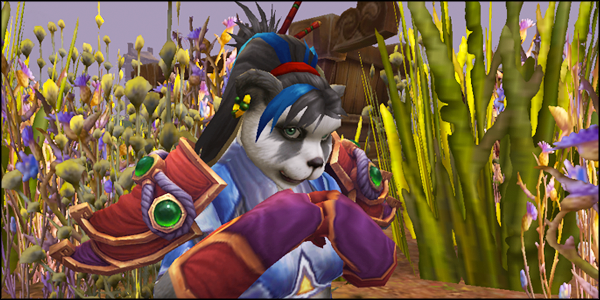 My mage could punch her enemies…but she would rather pew pew. I am an altoholic though so I hate the very idea of only playing one character. I much prefer to roll healing characters to heal things for my friends and to roll tanks to tank. I love to DPS on all of them. I have a lot of hope that the next expansion will bring back the ease of having multiple max level alts. It used to be much easier to keep a whole stable of them raid ready (even if you only had limited time to play) than it is now. I have played my mage as a melee spec and it didn’t end well. She died a lot. (I just can’t get into the idea of ranged…I must bash. All my ranged kids suffer.) After finally learning to stay the hell away from the bad things that hurt me, I don’t think I could ever get behind the idea of a melee mage. Why study and learn magic if in the end you are just going to brawl? My warlock never wants to heal anyone. She is evil, damnit! I think the idea of healing as a warlock is completely silly because they consort with demons. Hello? EEEEeevvillll! I might not know why I picked Horde, but I do know I want to stab stuff! I’m not going to go through every idea and say why I wouldn’t want to play it, because I know that other people would. I don’t play any other MMOs. I haven’t experienced the way any other game runs except for WoW so I don’t know if I would like it or not given the choice. 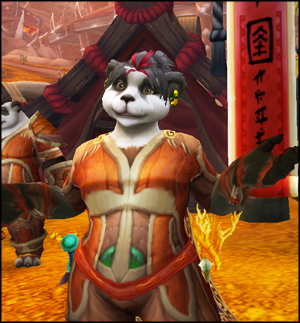 But…I was never one to have a weird hybrid spec back when we had choosable talent points. I preferred to stay mostly in one tree and only took whatever EJ suggested for the other two. Ultimately it doesn’t bother me at all that my rogue isn’t able to be ranged because I rolled a rogue specifically to have fun with the stabby stabby. That is probably why the idea of tanky priests or ranged monks seems odd to me. I can’t wrap my head around why they would even be wanted or needed. I much prefer to use a different alt for that.